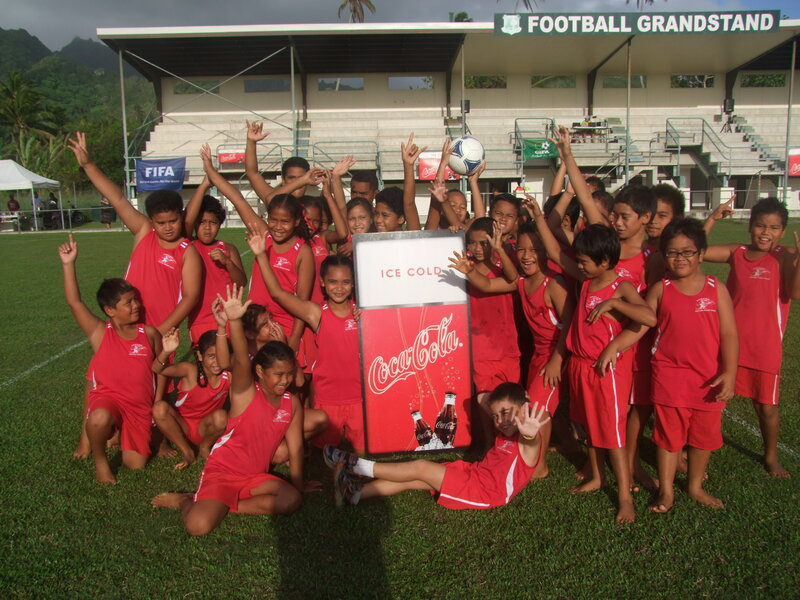 The CITC Coca-Cola Primary School One Day Soccer Tournament kicked off today at 8:45am, at the Cook Islands Football Association (CIFA) complex in Matavera. The schools participating in the tourney were Papaaroa, Te Uki Ou, Avarua, Takitumu, Avatea, Imanuela Akatemia, St Joseph, Rutaki, Arorangi and Nikao. “This is a great opportunity for our young football players to compete against each other and develop their football skills,” says CIFA Development Officer, Tahiri Elikana. All Primary Schools have put together a boys, girls and mixed teams to combat it out on the pitch while showcasing their ball skills against each other. “It is expected to be a fun, exciting atmosphere, with the support of parents, teachers and community cheering their teams as they battle it out for team pride in an undoubtedly thrilling day.” Elikana added . More than 400 players, teachers and spectators are expected to turn up to the CIFA complex to watch action packed, fun soccer games. The final games will finish at 2.15pm, with the presentation of trophies to be held straight after the final games. There will be food stalls available on the day with cold drinks and sausage sizzles so parents and supporters can refresh themselves while enjoying all the football games. Good luck to all participating schools for your games. Don’t forget to come down to the CIFA Matavera Complex today and support your school.